A cauldron of sounds and feelings mixed together in one pulling out all the stops Rock and Blues album. 4. 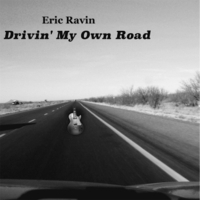 Nothin' Left in L.A.
"Drivin' My Own Road" a thrill a minute road trip for your ears and mind. Rockers, ballads, exotic Blues tunes it's like visiting a new place with a different experience in every song. Get in, buckle up and go wherever you want the music to take you.